Welcome to another addition to Facebook Friday! 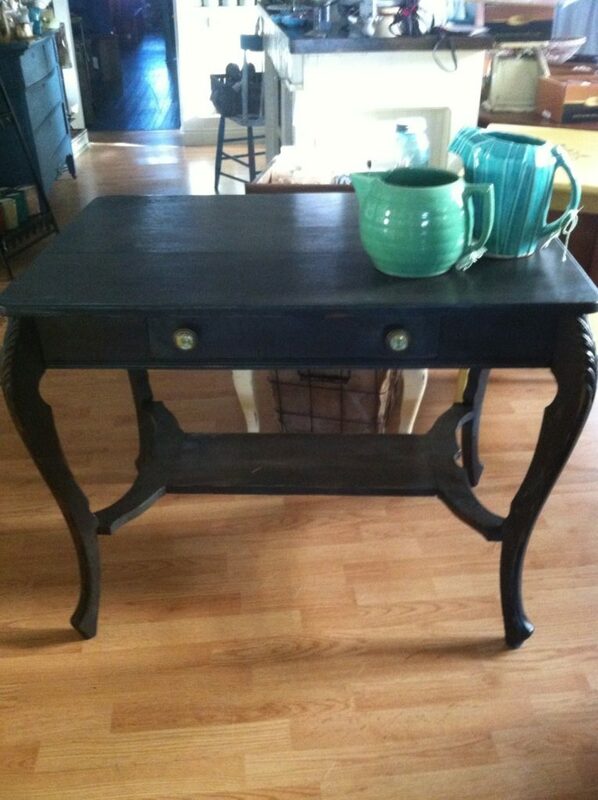 Our paintriots have been busy this week creating all kinds of beautiful finds! Let’s start out with a colorful one! 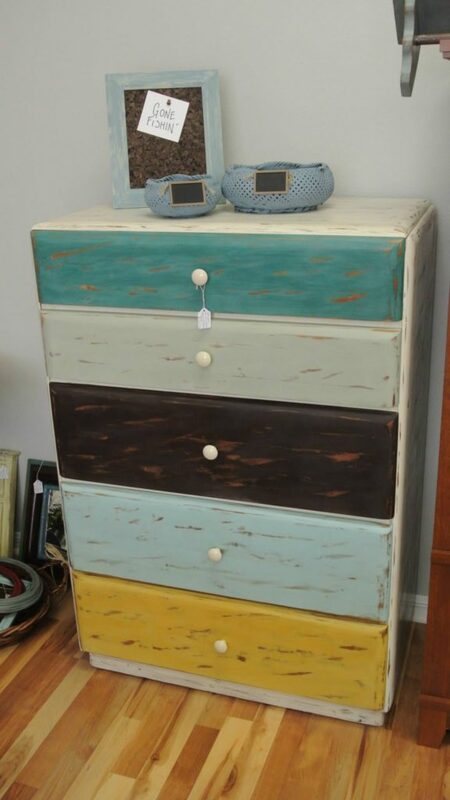 Distressed Nest Boutique submitted this darling dresser painted in Home Plate, Beach Glass, Liberty, Wild Horses, Surfboard and Amber Waves of Grain. 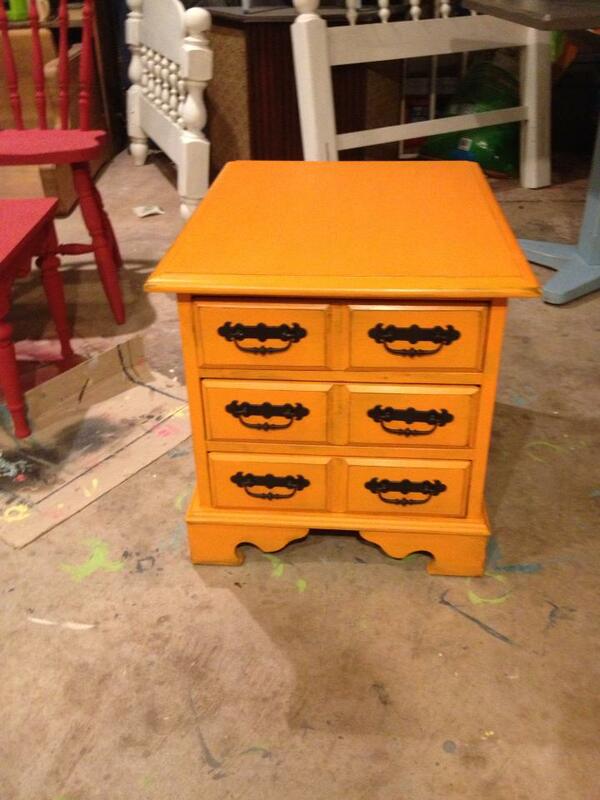 Orange Grove is making this nightstand really stand out at The Old Store in Oklahoma. 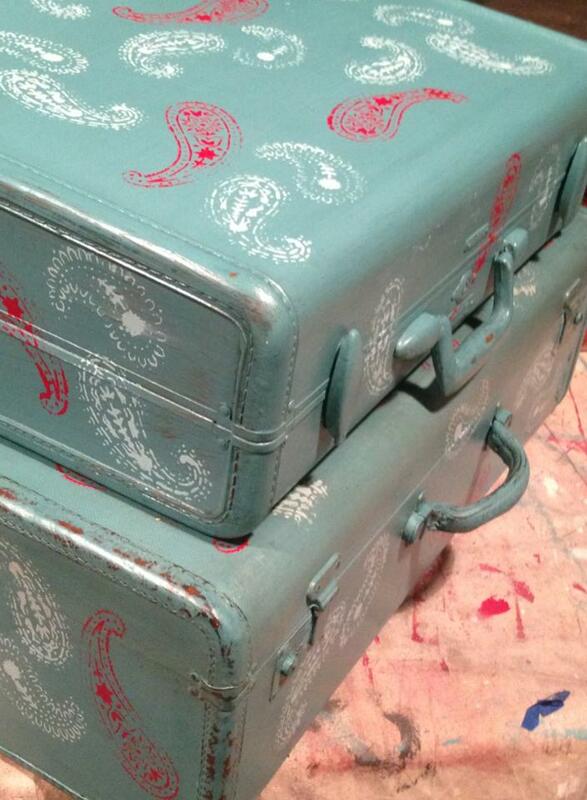 Junque in My Trunk in Kansas created a sweet little treasure with these suitcases painted in Beach Glass, stenciled and finished in Top Coat. 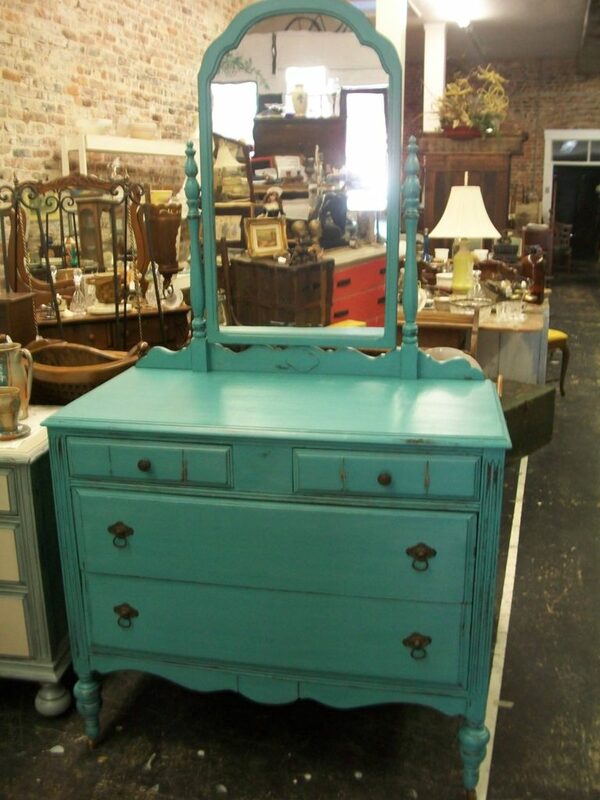 Ellie’s Attic painted with Beach Glass as well and finished this dresser with Top Coat. Feather Your Nest painted this table with Lincoln’s Hat over Beach Glass. 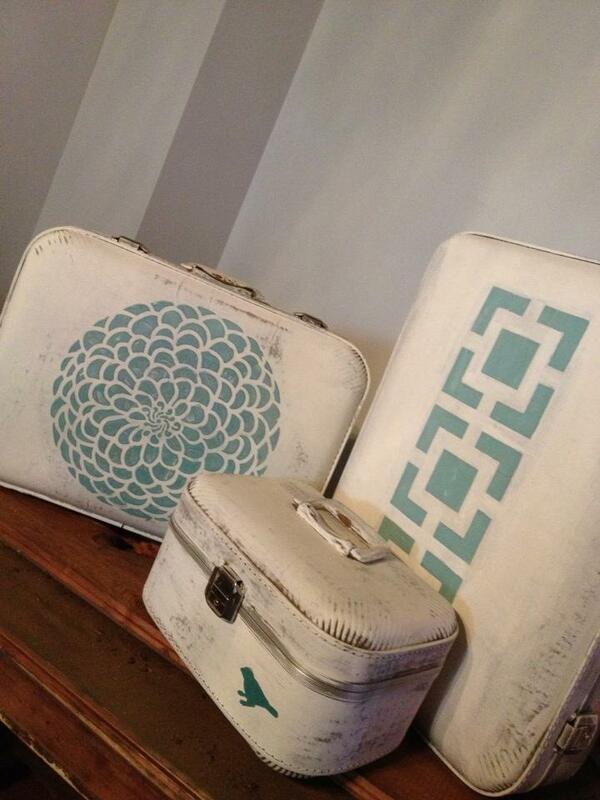 Affected Interiors mixed Beach Glass into plaster and stenciled these cute little cases. Ready to travel in style! 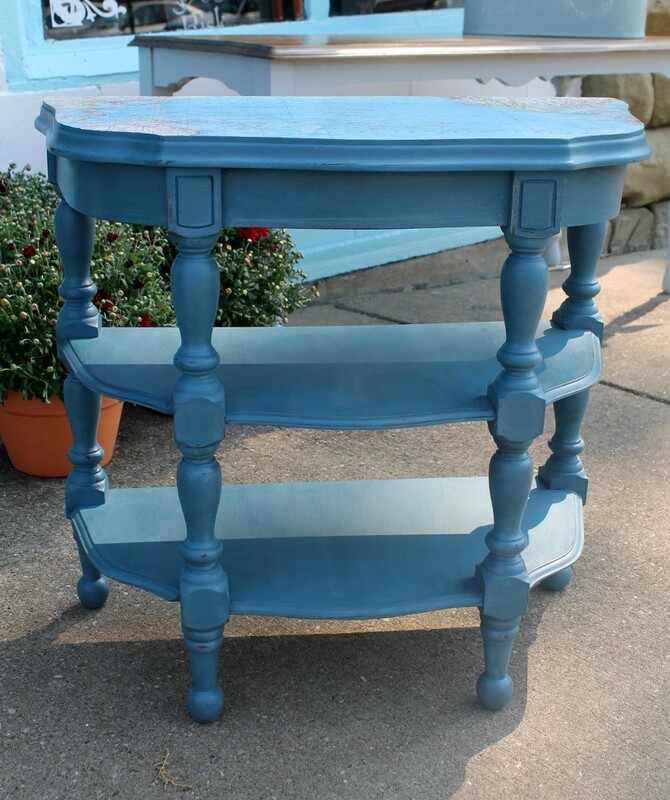 Upcycled Vintage Charm in Ohio painted a buffet in Fireworks Red. Then to give it some POW, mixed Lincoln’s Hat into the Top Coat for an awesome finish! This looks amazing! 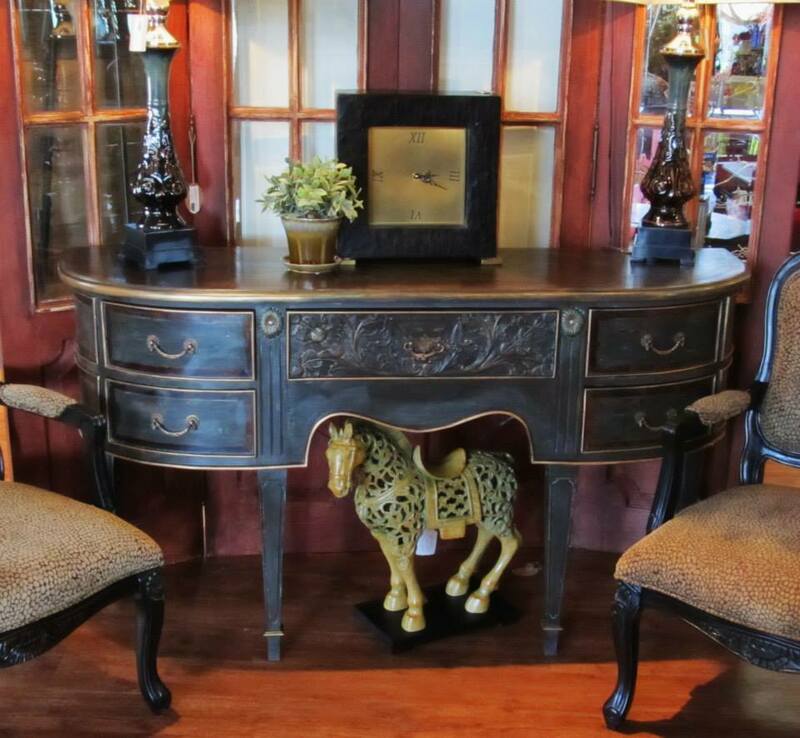 You can also create a similar look by mixing the black Mica into the Top Coat. Get creative! 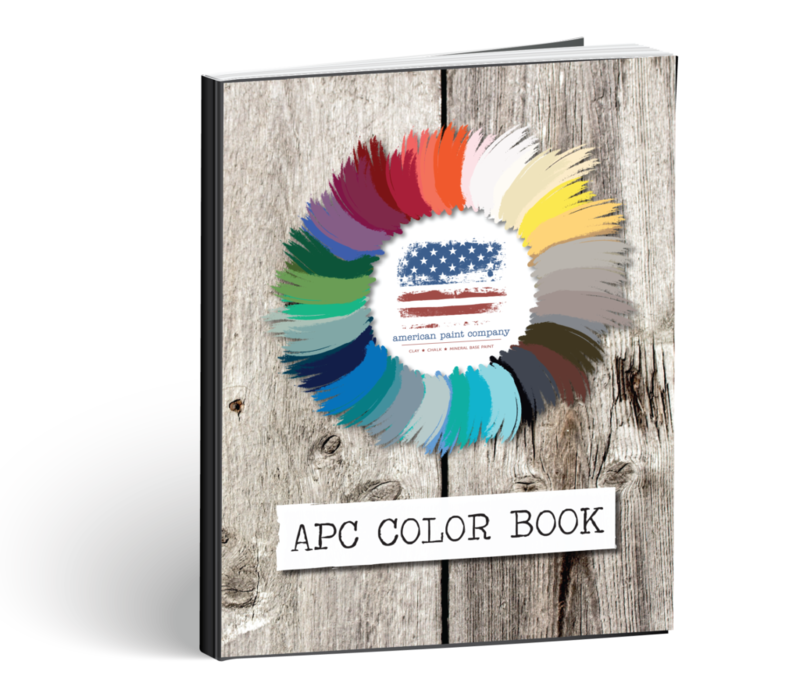 Brick Street Cottage made a custom color mixing Surfboard + Born on the 4th and then decoupaged the top with a map. Fabulous! Simply Beautiful Spaces created a masterpiece using Beach Glass under Lincoln’s Hat and finishing with copper Mica. Simply beautiful! 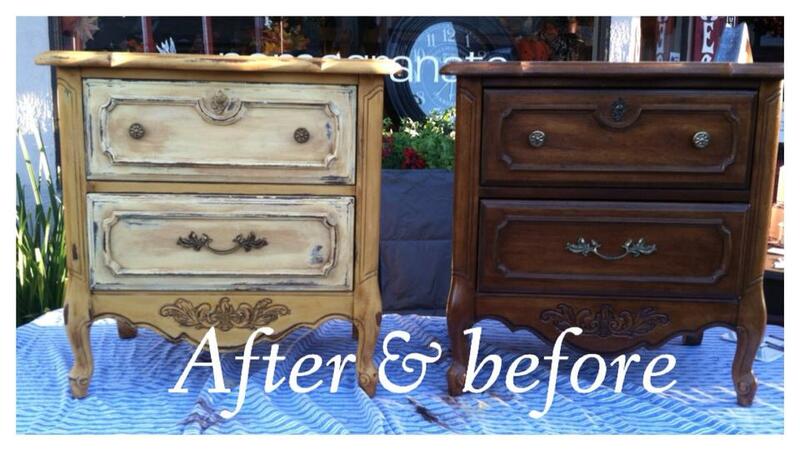 What an amazing before and after by 2nd Chance Junk painted with Amber Waves of Grain and Heaven’s Light. 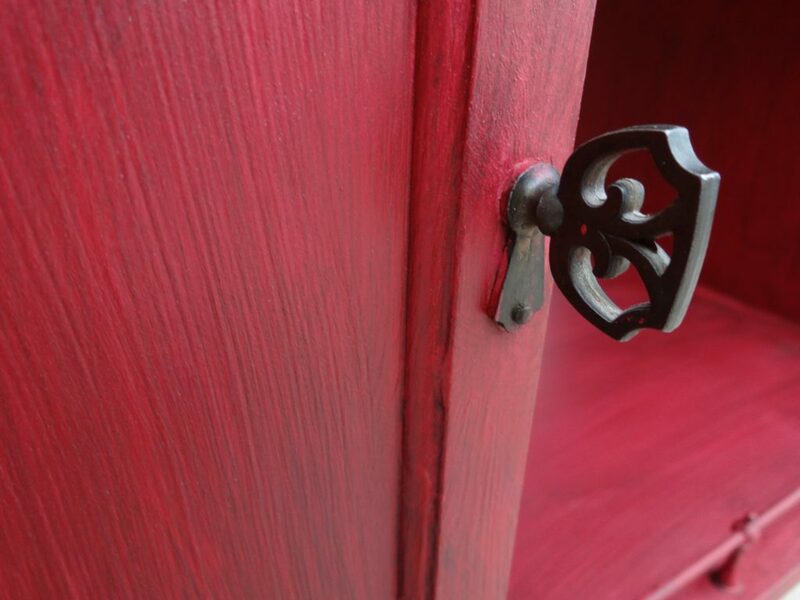 What will you be painting this week?